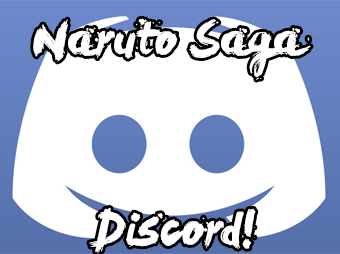 Naruto RP Saga » Hi no Kuni » Konohagakure » Sons of the Leaf. There had been no shortage of festivities in the village. The exams had brought great deals of jubilation to all corners of the Hidden Leaf, filling the streets with people from all walks of life, gathering to enjoy the Chūnin Exams. Even the shinobi themselves had been given a chance to let loose, responsibilities permitting, to enjoy the merriment and jubilation of a celebration that rarely went well in the Hidden Leaf. Among them, Takao was no stranger, and had fully indulged himself in every aspect of the celebrations that he found interest in. Gorging himself on the types of food that only graced the village on special occasions, galavanting about the streets and enjoying the games and sights of others also enjoying themselves, and even spectating a few of the matches that had become the centerpiece of the festivities. Despite all of his enjoyment, he was not intoxicated by the festive exuberance, and knew well of the Leaf’s bad reputation when it came to the exams, yet sought to enjoy himself while remaining vigilant all the same. Takao’s involvement with the Exams did not end as an observer. He had opted in to partake in the bouts and matches that a plethora of onlookers had gathered to watch. Many had come to see family and friends fight it out in the arenas, or to watch prospective genin strive for victory. Others had come to see the magnificent, explosive battles of the ranked members of the village, and it that was such a show that Takao vied to give them. Light bled in from outside the dark corridor he strode down. As he passed through the darkness and into the arena, illuminated by the midday sun, he was graced with the sight of a large arena with a spiral pattern depicted on the floor, heralding what was yet to come. He knew the trick to this arena and he expected his opponent to as well; it was designed in such a way that the metal cage that enveloped the circular arena would begin to close, and the option for distance between them would shrink until they stood nose to nose. It made for explosive battles from the beginning with both participants eager to defeat the other before the risk grew too large. Takao, however, was not of such mind. The loud roar of the crowd excited to see blood spilled and the theatrics of a high-level battle filled his ears as he stepped out from the corridor and into the vast, empty arena. The announcer had given the onlookers the names of the participants. Himself versus Nozara, Nayoko, another Jōnin of the Hidden Leaf. In more ways than one, he was excited to fight against one of his own kin. Not only because he was seldom afforded the opportunity to indulge in battle against an equal, but also because the strength of the leaf was something that had recently been called into question. His interest in this bout went beyond his own personal excitement, he wanted to see what the other ranking members of the village could do, and he wanted the world to see it as well. War was on the horizon, after all, and he would not stand for the home he loved to be stepped on when the first stones were cast. Dressed to the nines for his bout, Takao found himself adorned in the uniformed regalia of a Jōnin of the Hidden Leaf. Simple black clothing was worn under his olive green vest painted a pictureqsue image of the classic ranking Konohagakure shinobi. Weapon pouches on either side of his legs were indication of some level of ambidexteriousness, and the boots upon his feet in place of regular sandals were his own personal touch to the ensemble. Furthering the uniqueness of his getup, an instrument attached to his right arm seemed akin to a collapsed tonfa, and on his left, a large chain was wrapped around his forearm with two heavy weights hanging from either end. It was a far shoot from his last match, in which his getup was barebones and more suited toward the no-jutsu, no-weapons beatdown sort of fight that he thoroughly enjoyed, but this particular sort had its own allure as well. Despite initial skepticism to display his techniques in the open, shows of power were just as important for deterring lurking threats as keeping some of them secret was a great way to surprise said threats when they were exposed. Besides, he thought, it he could deter such threats with awesome displays of power and skill, perhaps they would not be so keen to show themselves after all. Black eyes scanned the vacant arena until they came to rest on the opposite end, where one single entrance could be seen nearly a hundred meters apart. 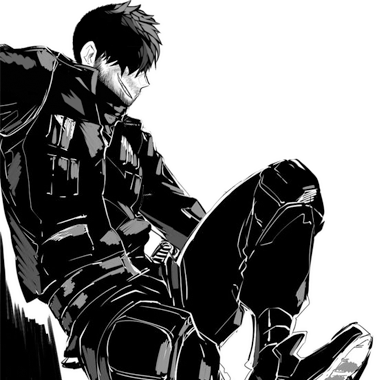 Takao began his stride forward, walking ten meters or slow at a leisurely pace, carefully analyzing options available even before the fight had begun. He expected it to begin with a battle at range, firing off techniques whilst distance was still their ally, and gradually relying on defense rather than evasion as the space between them closed. It was within Takao’s personality to go against such an expectation, however, so he had his own plans for the moment. He expected that, if nothing else, the audience that sat on the edge of their seats would be thoroughly entertained. But for now, he slowed to a stop, and his gaze rested upon the entrance adjacent to his, which had closed behind him and locked off any semblance of escape with large metal girders. Properly sealed in the domed arena, he hands tensed and relaxed in perpetuity, subconsciously preparing himself for the fight that laid ahead. Reward: 2000 Ryo + 5 EP.